Stephen McGivern is a Chartered Accountant with 25 years’ experience advising companies and is responsible for our Corporate Finance Department. 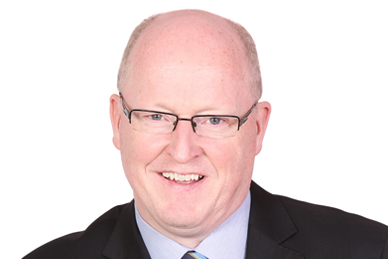 Stephen has considerable experience with fundraising, particularly EIIS\BES, seed capital, venture capital, Enterprise Ireland funding, private equity and bank facilities. He has also assisted companies with mergers and acquisitions, strategic planning and selling businesses. He has acted as non-executive director for several companies, assisting with strategic plans and funding. Stephen was the former Director and founder of BES Management Limited which continues to manage the Davy BES Funds that invest in SMEs throughout Ireland. The Company has raised over €125m and invested in approx. 100 companies. Sectors include food, wind, manufacturing, waste, recycling, construction, leisure, engineering and software. Following this he went on to set up BDO Simpson Xavier Fund Administration Services Limited which offers services to off shore funds including property funds and funds of funds. This company was sold in September 2011 to a US listed administration company. Stephen has brought his extensive funds and EIIS knowledge to Baker Tilly Hughes Blake and led the partnership with Goodbody to form the EIIS fund.